Congress authorized Hawai’i National Park on August 1, 1916, as the twelfth U.S. National Park. Located in the Territory of Hawai‘i, it included lands surrounding Kīlauea and Mauna Loa volcanoes on Hawaiʻi Island, and Haleakalā on the island of Maui. The official designation of these areas as a national park came after years of discussion and promotion by Lorrin Thurston, Thomas A. Jaggar, and others. The bill that was finally adopted was the fourth to be put before Congress, and was introduced by Jonah Kūhiō Kalanianaʻole. Then, by 1920–just four years after the formal establishment of the National Park Service (NPS)–it became apparent that the government could not furnish all the help and information needed and wanted by the visiting public. That year the Yosemite Museum Association was founded to develop a museum and visitor contact station in Yosemite National Park. In Hawaiʻi, the first NPS superintendent arrived in 1922, and he and his staff built the first headquarters building the following year. In 1927, a museum building was constructed overlooking Kīlauea at Uwēkahuna, and in the 1930s the first naturalist was assigned to the park. At Haleakalā, the summit road was constructed in 1935, and the Civilian Conservation Corps (C.C.C.) built the overlook building near the summit in 1936. It was also in the early 1930s that Hawai‘i National Park officials decided to follow the example of Yosemite and form a cooperating association. The meeting to organize Hawai‘i Natural History Association (now Hawaiʻi Pacific Parks Association) was held on November 13, 1933. At that time a constitution was adopted, and the first officers were elected. John Doerr, the park naturalist, was the first President. Richmond Hodges was elected Secretary, and Mrs. Doerr became Treasurer. The next 15-20 years represent a period of infancy for HNHA. The organization was small, the projects were few, and the structure was fairly informal. In 1948, HNHA applied for and received exemption from the payment of federal income tax under the provisions of section 101(6) of Internal Revenue Code [Reclassified as 501 (c)(3) based on Code of 1954]. Following the passage of Public Law 633 – 79th Congress, Hawai‘i Natural History Association was officially designated a “cooperating educational society” by the National Park Service in September of 1948. The year 1961 marked the beginning of many changes and growth for both the association and the parks in Hawai‘i. It was in July of that year that Hawai‘i National Park was split into two distinct areas: Haleakalā National Park and Hawai‘i Volcanoes National Park. That summer also marked the establishment of City of Refuge National Historical Park [the name was changed to Pu‘uhonua o Hōnaunau in 1978]. HNHA filed a Petition for Charter of Incorporation with the State of Hawai‘i and became incorporated on August 21st. As these changes occurred within the park system, HNHA changed as well and assisted the new areas as well as the old. Pu‘ukoholā Heiau National Historic Site was established in 1972, and was soon benefitting from assistance provided by the association. Although Kaloko-Honokōhau National Historical Park was officially established in 1978, the land acquisition process took several years to complete, and it was not until the late 1980s that HNHA began providing assistance to that area. Similarly, the national park of American Samoa was authorized in 1988 and began receiving assistance from HNHA in 2000. On December 1, 2011, Hawaiʻi Natural History Association changed its name to Hawaiʻi Pacific Parks Association to better reflect its role in the parks and its geographical reach. Today there are over 60 associations serving the more than 300 areas in the National Park System. Cooperating Associations are as diverse as the parks they support, with their emphasis being guided by the respective themes of their parks. While many associations are single-park independent groups, there are also several associations that serve as umbrella organizations, covering several parks. Hawaiʻi Pacific Parks Association is one of these.  In the over 80 years that it has been in existence, the Association has donated over $18.5 million in support of projects and services in the national parks. In the past 40 years, we’ve grown from an organization grossing approximately $30,000 per year and having one employee to an organization grossing over $5.5 million per year and employing over 35 individuals on a part-time or full-time basis.